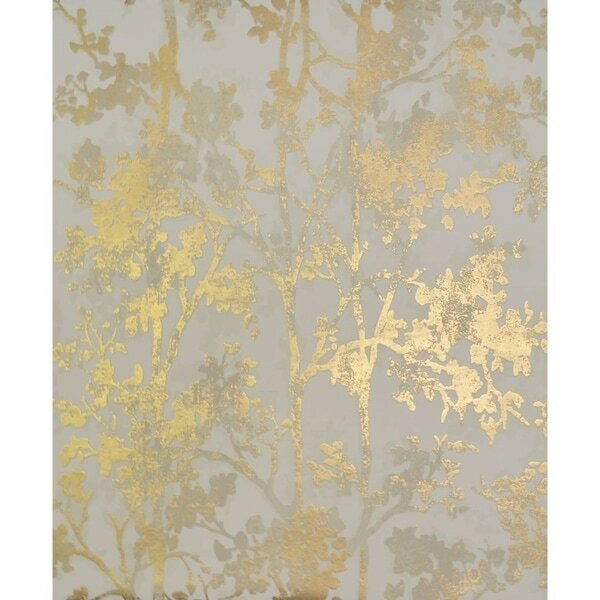 Romance dwells among the shadows of Antonina Vella Shimmering Foliage Wallpaper, where precious metals turn what could have been commonplace trees into a mesmerizing and mysterious grove. The gold is gold, but the 'almond' colour doesn't match the picture. It is more beige than what is shown.